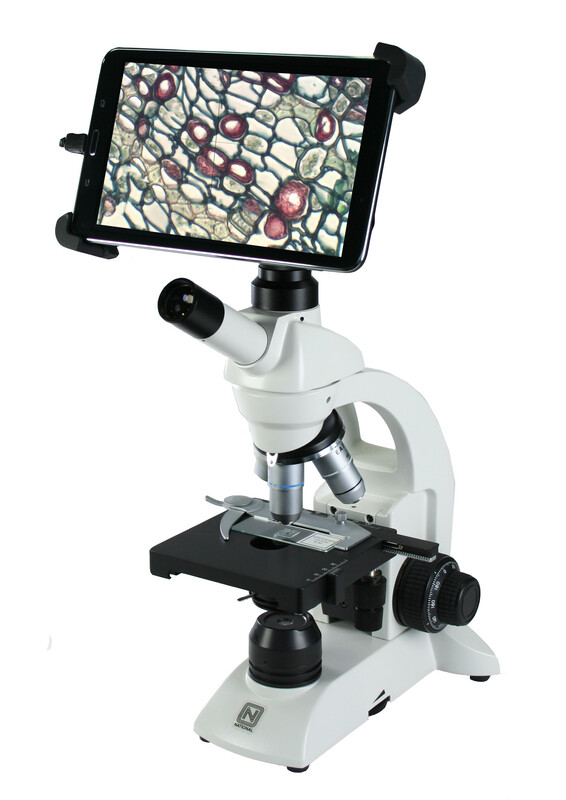 Introducing National Optical & Scientific Instruments' new line of digital compound microscopes with detachable 8" LCD tablet! 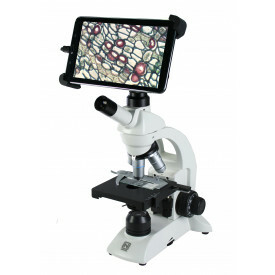 The BTW1-214-RLED features high speed, full-resolution imaging technology built into some of our most popular microscopes. Connect, view, and share images easily and affordably with the BTW1-214-RLED. DIN standard 4x (0.10 N.A. ), 10x (0.25 N.A. ), 40xR (0.65 N.A.) and 100x (1.25 N.A.) objectives. All are achromatic, parfocalled, parcentered and color-coded. Large 120mm x 120mm stage, with professional quality, low profile mechanical specimen holder with low-position coaxial x-y controls.